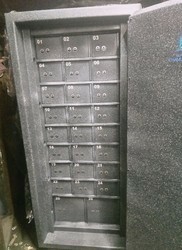 we understand the world of security and thats why we have design safe which provides you deposit locker as well.. 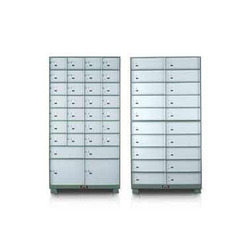 Safe Deposit locker UnitOur range of Safe Deposit locker Units are made as per highest standards required by Nationalised as well as Multinational banks . All lockers are provided with hi security locks and Aluminium Cladding. - Fabricated from plates of prime quality tested steel procured directly from the manufacturers. - Thorough 7 steps, 12 tank anti-corrosion surface treatment for removal of grease, grit, rust and mill scale.